The world's animals are facing mass extinctions. Ecosystems are collapsing. Diseases affecting both animals and humans are emerging at an alarming rate. But the Wild Animal Health Fund is here to help solve these issues and slow extinction of zoo animals and wildlife. Zoo and wildlife veterinarians worldwide are doing all they can to understand diagnosis, prevention and treatment of diseases. They study reproduction and lifesaving measures for endangered species. And they strive to discover ways to improve the health and welfare of zoo animals and wildlife. They do all of this with research grant support from the Wild Animal Health Fund. You have an opportunity to help by supporting this critical research. Please consider donating to the Wild Animal Health Fund to support vital, peer-reviewed and monitored health studies for zoo animals and wildlife. Do it now, before it’s too late. The extinction clock is ticking! Animals can’t ask for help. That’s why we’re here saving zoo animals and wildlife. $10 or more can help. Mass Mortality events in Marine Mammals; A new technique in wildlife toxicology to assess the health of grey seals. Most species of penguins evolved in colder climates, and as a result, they don’t have good immunity to diseases carried by insects. While some penguins live in climates warm enough to support insects, the West Nile virus is posing a threat. In a funded study, zoo and wildlife veterinarians worked out a protocol to vaccinate adult female penguins to optimize their chicks’ resistance to the West Nile virus. It's studies like this one that brings new research to better the lives of species around the world. Show your support by donating TODAY! Your donations to the Wild Animal Health Fund go 100% toward saving zoo animals and wildlife by supporting research projects conducted by zoo and wildlife veterinarians all over the world. Donations have supported Dr. Sonia Hernandez in her research on the effects of urbanization on the White Ibis. This research studied how the changing behavior of the White Ibis affects other birds, humans, and local parks, as well as communicable bird diseases. To learn more about the projects that donations to the Wild Animal Health Fund have supported, visit Animals. 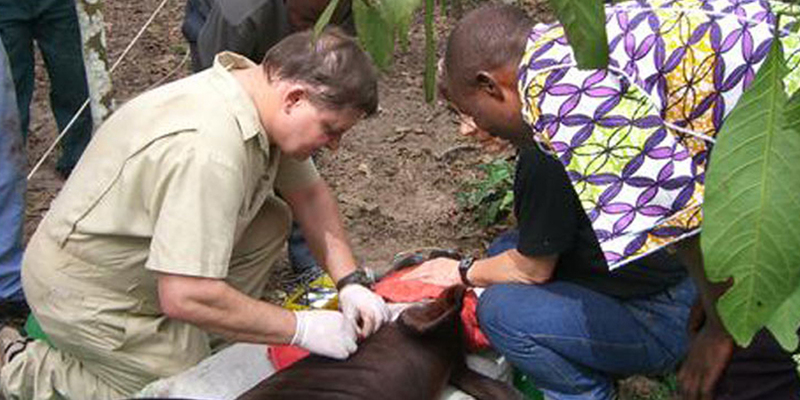 For nearly 70 years, the American Association of Zoo Veterinarians (AAZV) has played a role in many zoo animal and wildlife medicine breakthroughs to prevent diseases, enhance treatments and provide solutions. Every day, zoo and wildlife veterinarians deal with the lack of knowledge available about the numerous species in their care. Who better to lead the way in finding solutions and cures to keep zoo animals and wildlife on our planet for generations to come. In return, the research we fund turns great ideas into real-world benefits for the professional veterinarians and the animals in their care.